Here is a picture of some of the things I found while beachcombing on South Padre Island this past February. I hope the pictures are good enough for you to see some of the detail. It looks like you had a fun day at the beach. 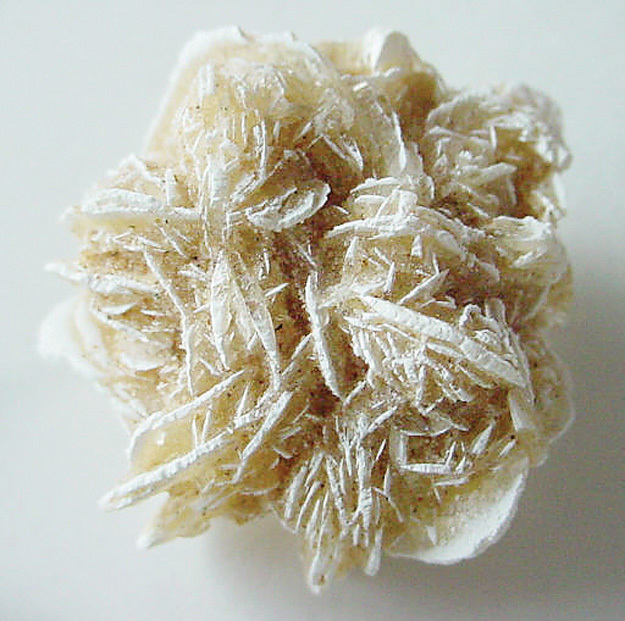 Gypsum crystals and rosettes, (sometimes called “Desert Rose”) like the one shown in the upper left corner of your photo are formed below the surface of the wind-tidal flats and become exposed after heavy rains or fierce winds. Calcium carbonate is deposited as irregular sand grains in the quiet waters of the Laguna Madre. As the water evaporates it leaves behind transparent crystals or crystalline masses of selenite. Selenite” is the colorless and transparent variety that shows a pearl-like-luster and has been described as having a moon like glow. The word selenite comes from the Greek for Moon and means moon rock. (According to Greek legend, the crystals form when the moon is on the increase and coincidently, the moon is full as I write this column). A good place to hunt them is along the mudflats that lie to the east of the swing bridge that connects Long Island Village (Outdoor Resorts) with the mainland. 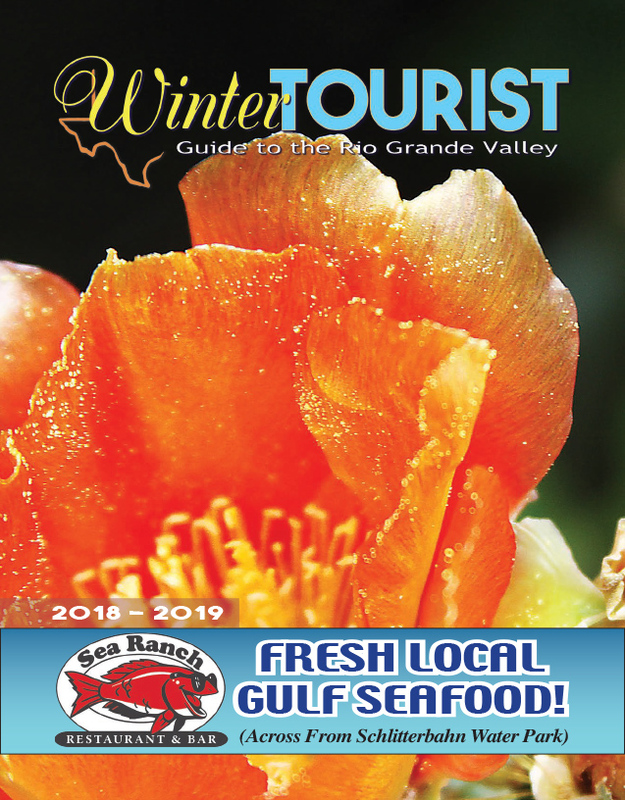 The largest local specimen I have seen is on display at the Sea Life Nature Center located in the Lighthouse Square in Port Isabel. Another variety is a compact fibrous aggregate called “satin spar.” This variety has a very satin like look that gives a play of light up and down the fibrous crystals. A fine grained massive material is called “alabaster” which has been used for carvings for thousands of years. Extremely large crystals of selenite are found in southern Utah in geodes, or hollow rocks. Big blocks of selenite can be split into extremely thin, transparent plates, which were used by the ancients in place of glass. When heated it converts into plaster of Paris. When moistened with water, plaster of Paris expands, filling every crevice or opening. It sets in a short time forming a hard mass of gypsum, Plaster of Paris is used extensively in making casts for statuary, ceramics, dental plates, fine metal parts for precision instruments and surgical splints. Gypsum is also used as a fertilizer for arid, alkaline soil, as a bed for polishing plate glass and as a base for paint pigments. Large amounts of gypsum are used as a retarder in Portland cement. The other items shown in your photo are difficult to identify. If I were guessing I would say the piece in the lower left corner is a bone fragment. It could be a tool used by those who came before us but I would need to examine it under a glass. The other items all look to be of rock or hardened clay.